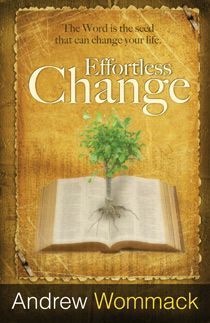 Most Christians want change in some area of their life. They try and try to make those changes but soon find themselves falling back into the same habits and behaviours. Self-discipline and self-control have once again failed them. So how does lasting change take place? A worm doesn't struggle to become a butterfly in the cocoon. A seed doesn't strive to become a tree and produce fruit. 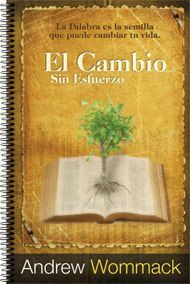 They simple do what they were designed to do by God and the change takes place, effortlessly. The Word of God is like a seed and your heart is the soil. When it's planted and nurtured in the soil of our heart, it begins to grow. The result is transformation; and the fruit becomes evident to all. 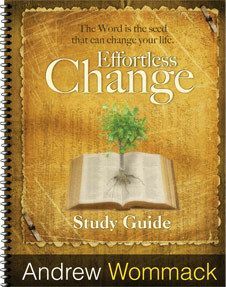 If you want real change in your life, this teaching is for you. In Romans 12:2, the word "transformed" was translated from the Greek word metamorphoo, from which our word "metamorphosis" comes. 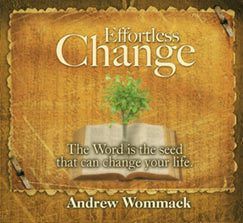 If you want to be transformed in the same way that a worm becomes a butterfly, then renew your mind through the Word of God, and effortless change is the result. All of us have struggled with doubt at times. Jesus once said that John the Baptist was the greatest man who walked the earth, but even HE had doubts! How did John deal with his doubts? In this message, Andrew shows how Jesus helped John the Baptist overcome doubt—by the Word of God. Jesus said the parable of the sower sowing seed was the key to understanding all His parables (Mark 4:13). Until we understand the truths of the importance of God's Word that this parable is teaching, we will never see the change in our lives that we desire. 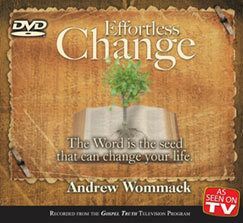 God's Word is the seed that must be sown in our hearts to effect change.